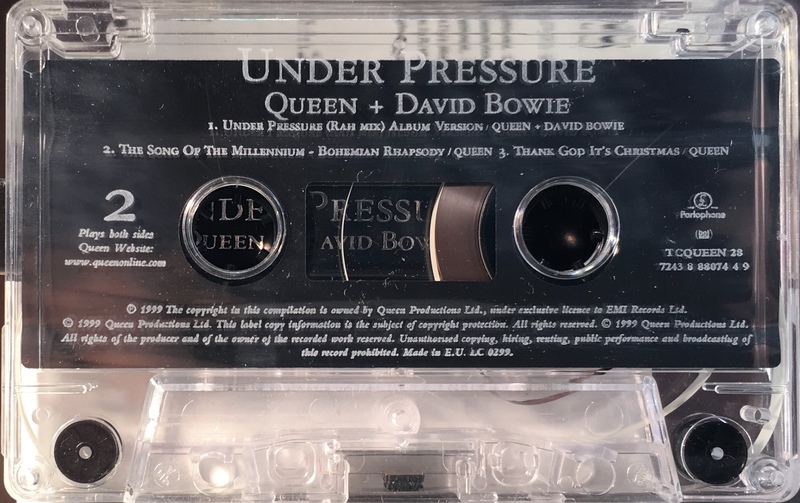 Under Pressure: UK; Parlophone, TC QUEEN28/ 7243 8 88074 4 9; 1999. 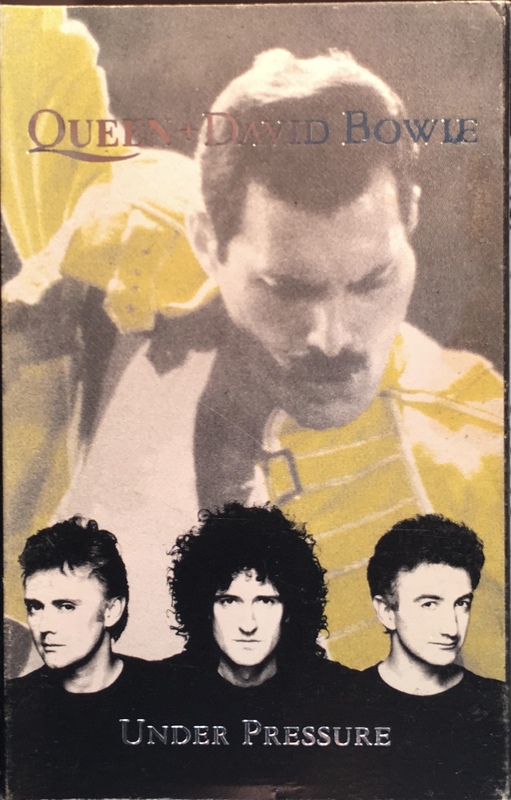 Queen cassingle to co-incide with Greatest Hits III. Card slip-case with picture front and black side and rear panels. Track list on rear panel. ‘Manufactured by distributed by EMI’. The rear cover has a barcode and the spine is embossed. White ink printed directly onto clear shell with plain slip sheet. 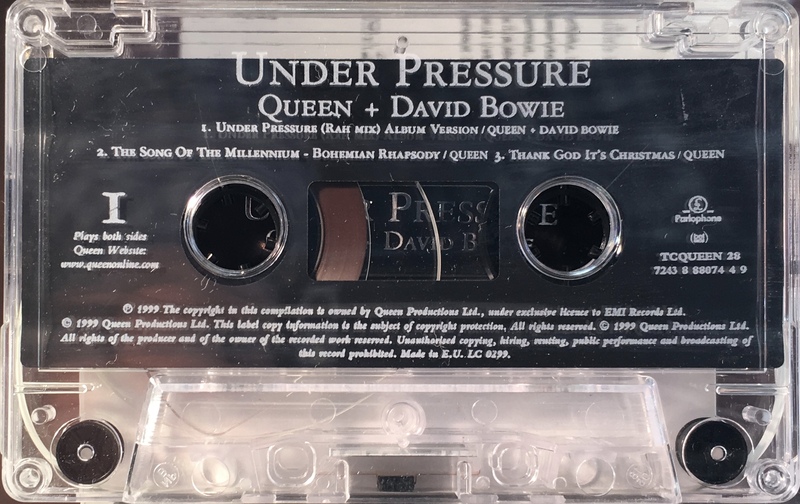 Side 1: Under Pressure (Rah Mix); The Song Of The Millennium – Bohemian Rhapsody; Thank God It’s Christmas. 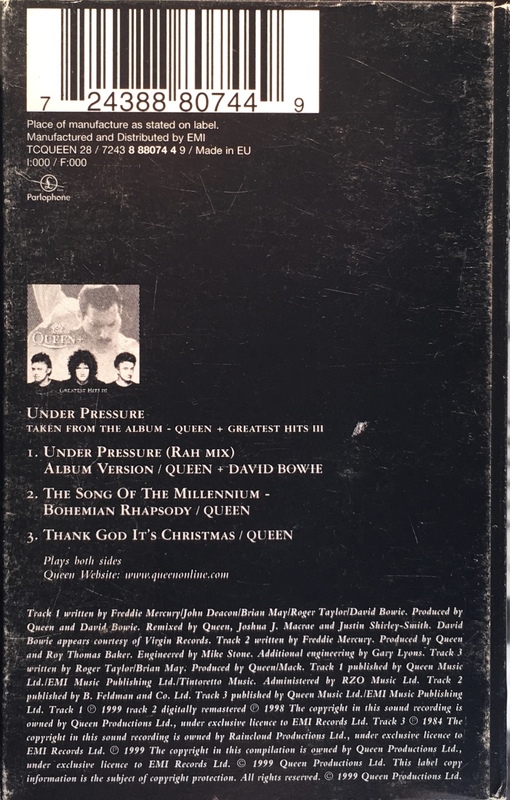 Side 2: Under Pressure (Rah Mix); The Song Of The Millennium – Bohemian Rhapsody; Thank God It’s Christmas.